JDBC is a Java-based data access technology (Java Standard Edition platform) which was created by Sun Microsystems, Inc.. It is an acronym as it is unofficially referred to as Java Database Connectivity, with DB being universally recognized as the abbreviation for database. This technology is an API for the Java programming language that defines how a client may access a database. It provides methods for querying and updating data in a database. JDBC is oriented towards relational databases. A JDBC-to-ODBC bridge enables connections to any ODBC-accessible data source in the JVM host environment. 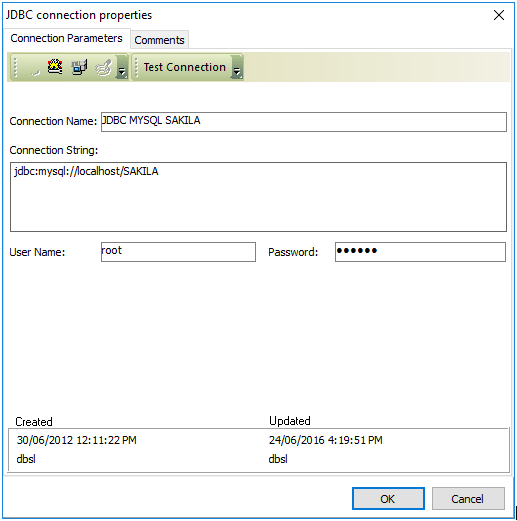 SQL builder does not work with JDBC connections.